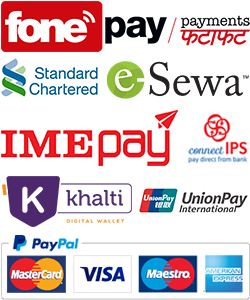 BALTRA is always committed to present the best quality & true value for money products. 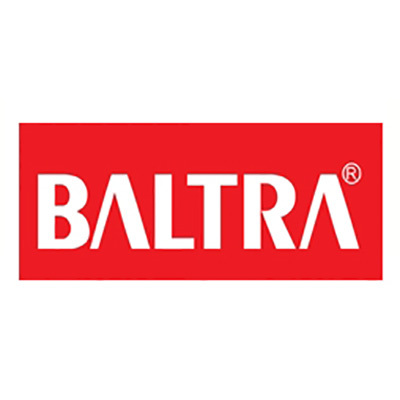 BALTRA Home Products comes with One Year Warranty. BALTRA ,have tried to go along with the necessity of the people, therefore, they are constantly performing and fulfilling their responsibilities towards their commitment to provide the utmost satisfaction of our consumers by offering consumers best quality products. BALTRA products are user friendly, easy to operate make your life more enjoyable and truly make you live your home. Urzante Pomace Olive Oil - 0.5 Ltr. Minimum quantity for "Urzante Pomace Olive Oil - 0.5 Ltr." is 1. Minimum quantity for "Baltra Bliss Stainless Steel Body Gas Stove 2 Burner (BGS 121)" is 1. Minimum quantity for "Baltra Rio Stainless Steel Body Gas Stove 2 Burner (BGS 125)" is 1. Minimum quantity for "Baltra Essence Stainless Steel Body Gas Stove 2 Burner (BGS 140)" is 1. Minimum quantity for "Baltra Ruby Stainless Steel Body Gas Stove 2 Burner BGS 101" is 1. Minimum quantity for "Baltra Flavour Stainless Steel Body Gas Stove 2 Burnel BGS 114" is 1. Minimum quantity for "Baltra LPG Stainless Steel Body Gas Stove Bright 2 Burnel - (BGS 138)" is 1. Minimum quantity for "Baltra Rich 2 Burner LPG Stove Cooktop (BGS 144)" is 1. Minimum quantity for "Baltra Premium 2 Gas Stove - (BGS-106)" is 1. Minimum quantity for "Baltra Grand 2 Gas Stove - (BGS-132)" is 1. Minimum quantity for "baltra Grand 1 Burner LPG Stove Cooktop BGS-122" is 1. Minimum quantity for "Baltra Crystal Body Gas Stove 4 Burner Auto BGS 108 - 8mm" is 1. Minimum quantity for "Baltra Crystal Body Gas Stove Gas Stove 3 Burner Auto BGS 107" is 1. Minimum quantity for "Baltra Crystal Body Gas Stove Gas Stove 2 Auto BGS 106" is 1. Minimum quantity for "Baltra Rose Big Food Grade Stainless Steel 2pcs Casserole Set BSB 223" is 1. Minimum quantity for "Baltra Rose Small Food Grade Stainless Steel 2pcs Casserole Set BSB 222" is 1. Minimum quantity for "Baltra Royal Hot Case 3pc Set BSC 212 Stainless Steel" is 1. Minimum quantity for "Baltra Royal Hot Case 15.0 Ltr Capacity (Stainless Steel) BSC 208" is 1. Minimum quantity for "Baltra Royal Hot Case 11.0 Ltr Capacity (Stainless Steel)" is 1. Minimum quantity for "Baltra Royal Hot Case 8.5 Ltr Capacity (Stainless Steel)" is 1. Minimum quantity for "Baltra Royal Hot Case 5.0 Ltr Capacity (Stainless Steel)" is 1. Minimum quantity for "Baltra Royal Hot Case 4.0 Ltr Capacity (Stainless Steel)" is 1. Minimum quantity for "Baltra Royal Hot Case 3.0 Ltr Capacity (Stainless Steel)" is 1.